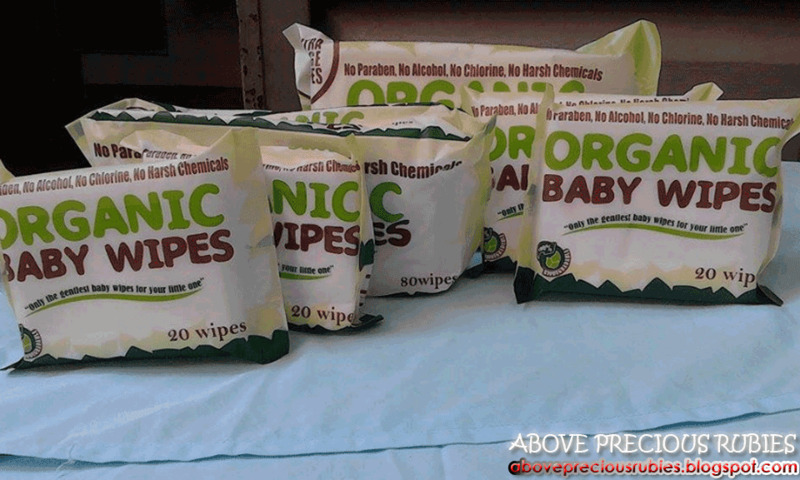 Last week, our friends in CKMJ Greenovation Inc. sent over a set of organic baby wipes for us to try. I’d take these as late birthday presents for Nate :). I was so excited to try it out and this product never failed me. Organic baby wipes are infused with organic aloe vera that’s known for its anti-inflammatory and inti-bacterial properties which means that it helps prevent nappy rash. Organic baby wipes contains no harsh chemicals and are hypoallergenic – NO PARABEN, NO ALCOHOL, NO CHLORINE, NO HARSH CHEMICALS. Its products are also 100% biodegradable, it’s pretty cool! What I love so much about this product is that it smells really good! The wipes that I buy usually for Nate are unscented because I was under the impression that scented wipes may contain alcohol but this one doesn’t. I love the smell so much; I get tempted to smell it from time to time! Lol! Organic baby wipes is gentle and Nate never had any skin reactions to it. And true to its words – it doesn’t cause any rashes on Nate as well. This product aims to give the gentlest baby wipes to our little ones and I think this product is really great! This is actually softer than Nate’s previous baby wipes. Would I recommend this product! Certainly, this is a nice and great scented wipes, I have no reason to not recommend other moms to try it on their kids. I’m honestly not sure if Organic baby wipes are now available in SM stores or any local stores but Organic baby wipes can be purchased online through Lazada.com.ph. Disclaimer: I got the products for free to try via Mommy Bloggers Philippines and just paid Php 100 to have the products shipped to me. All views and opinions are 100% of my own. Thanks MBP and CKMJ Greenovation Inc! I think I will try this one out for my 3 year old son. thanks for sharing this product! Good to hear that there are organic wipes where you are. Certainly good for parents with young kids as there is less chance of irritation on the kids' skin using the product. Organic wipes that's cool. It would be very advisible for young kids and I guess for todlers too. Got my package too of organic wipes and will still be posting it on the blog. Wow its my first time to hear about organic wipes, Thank u for sharing your experience! Wow, I wasn't able sign up for this sayang.. I would love to try it for my girl. I use baby wipes for those nasty pollution dust when one's is out. Will try to check this one out. This is the first time I've heard about Organic baby wipes and it sounds like a great product. I shop at Lazada, I will look this up. I think they will be good for babies' bums. These products are great. No alcohol, parabens and other harmful chemicals. Sana it will be available in stores soon. Oh, Mommy Maye got them, too! Cool. These are heaven sent for mommies. I remember one mother being ambush interviewed on TV: when asked what thing she cant leave home without, she replied, "Baby Wipes". Wow! Are those for Mommy Blogger members only? I want to review those as well. Hehe. Now I am really curious with these. this is the 3rd time I saw a review of this wipes. I bet they're really good! Very true! I don't see any skin reactions that Nate has for using these products. Yes, it's perfect for them! Baby wipes can also be for mommies! I bet it would be a great makeup remover, smudge remover, tissue 🙂 baby wipes are heaven sent! Nice review! I will try these Organic baby wipes for my baby. Any alternative to chemical-ridden products are always good on my book! as long as they come from a reliable company of course. They really are! Very safe to use. I agree! All natural. Very good. I agree! Baby wipes are a must, really! They really are. I got them from Mommy Bloggers PH but I'm not sure if they're just exclusive for momsies. I agree with you! Ginagamit ko din talaga sya! lol! At that point of time, one could never imagine their lives without them. I know right! I can attest to that! Mas ok ba talaga sya sa regular na baby wipes? yung ginagamit ko kasi sa baby ko ung farlin na brand na binibili namin sa goods.ph (https://www.goods.ph/farlin-baby-wipes-8607.html), wala kasi akong makita dito sa manila ng farlin na brand e un ung nirecommend samin ng doctor ng baby ko nung nasa states pa kami. Thank you sis! I haven't really tried farlin pero of all the wipes I tried, I say this one is the best. It's really a good product. Give it a try. 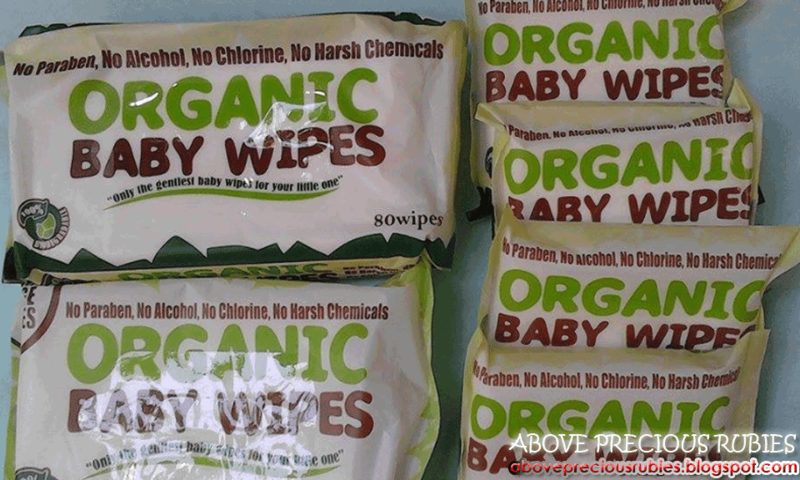 Organic Baby Wipes I will try these for my baby. Good info About Organic Baby Wipes. thanks for greatest article share with us. I love these baby wipes! I used them for my girls when they were babies but now I use them to wash my face. They also are great for keeping in the car as well.